Public sector bodies including local and central government and educational establishments have a large property portfolio which is now subject to new legislation including the requirement for Display Energy Certificates (DEC) for all public access buildings of 1000m2 or larger. As of April 2010 larger organisations are subject to the CRC Energy Efficiency Scheme (Formally the Carbon Reduction Commitment), and more recently the Energy Savings Opportunity Scheme (ESOS). These requirements are driving local authorities and government departments to review their energy usage and put in place plans to reduce consumption and look at alternative low carbon sources. RS Renewables can aid this process by conducting Renewable Energy Feasibility Studies. Renewable energy systems are a cost effective way for public bodies to meet your obligations under the CRC Energy Efficiency Scheme. 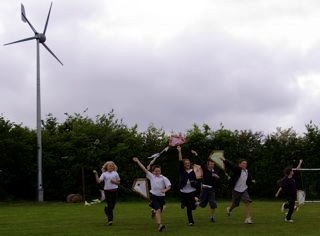 For schools a number of programmes existing to support the adoption of renewable energy including Eco-Schools. For new schools being build the inclusion of renewable energy is often mandated by the planning consent. The installation of wind, solar, heat pumps and biomass into schools provides both a cost effective carbon reduction solution as well as a great educational benefit. RS Renewables can assist in the selection of the most appropriate technologies starting with a Renewable Energy Feasibility Study. You can read a case study of a recent study here. Other sources of grant funding is also available, RS Renewables can provide funding and finance advice and support for renewable energy projects.